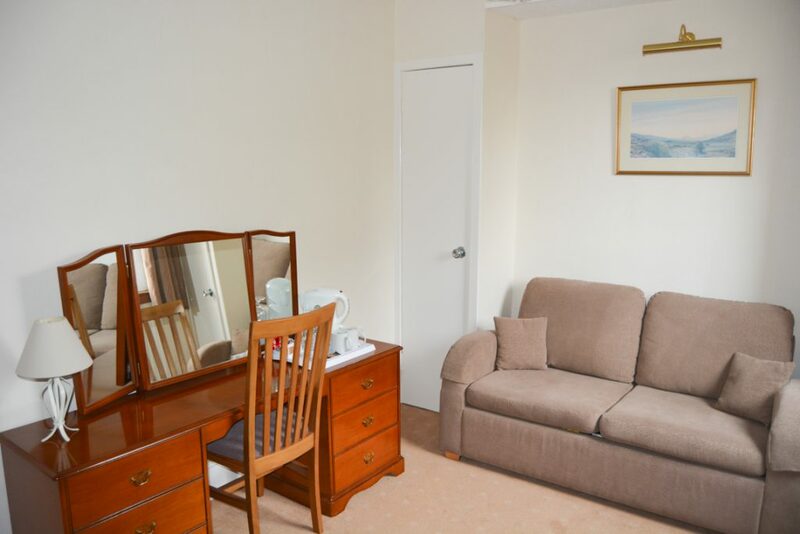 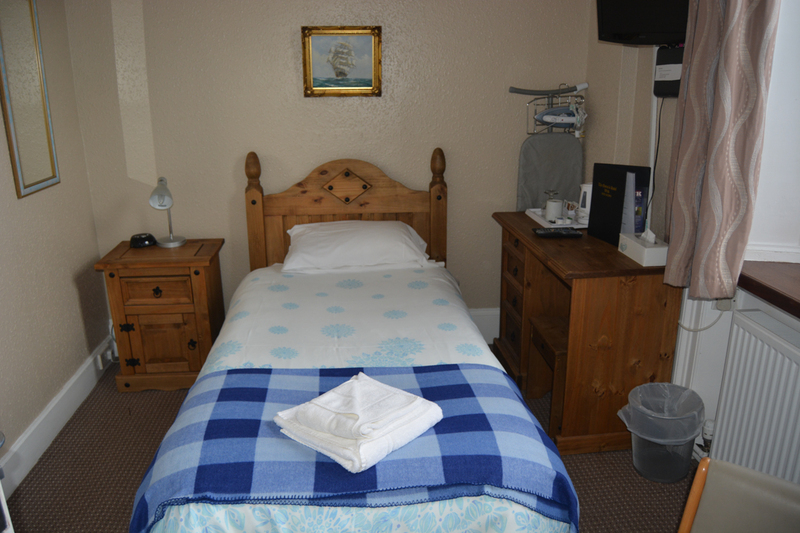 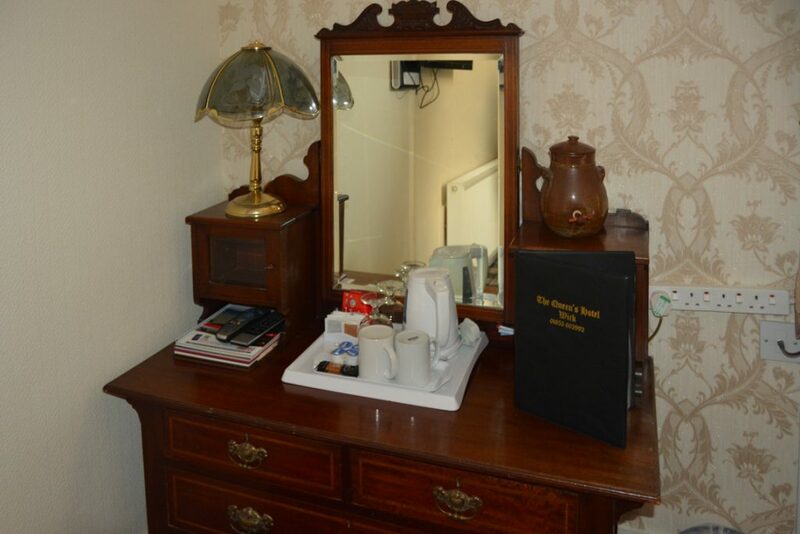 Coffee & tea facilities, toiletries, iron & ironing board, hairdryer and there is also sky TV and free Wi-Fi. 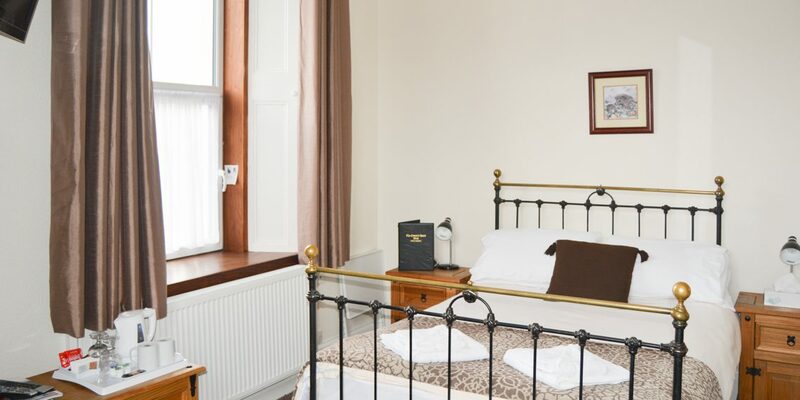 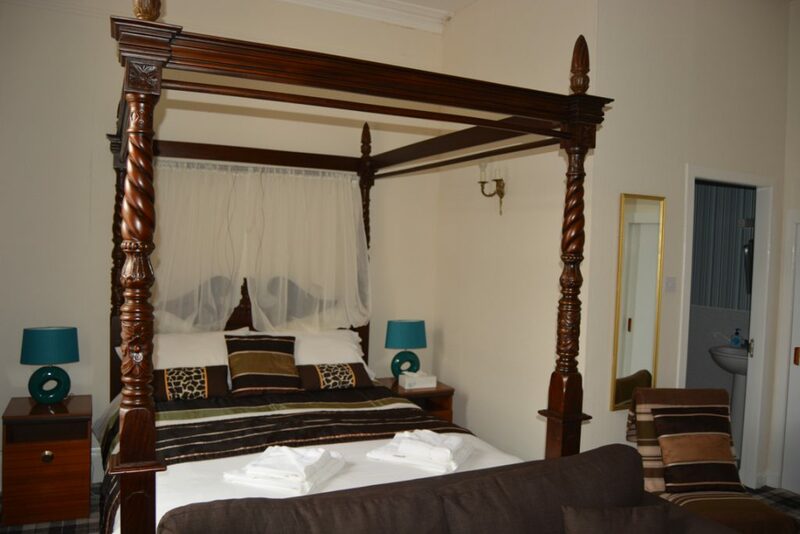 This room has a large four poster king size at the front over looking the road, a bath and shower. 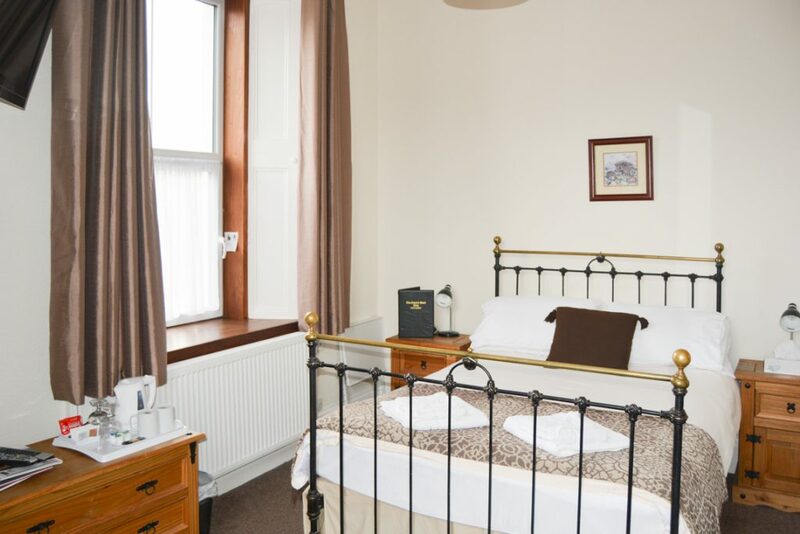 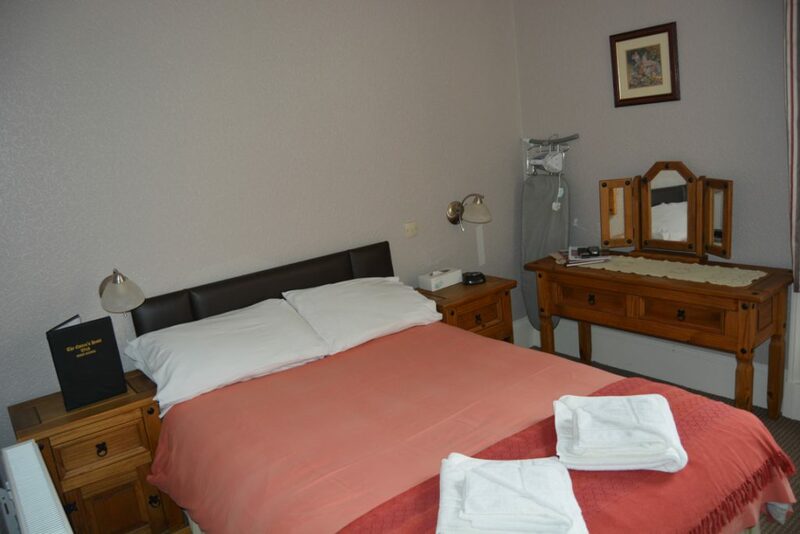 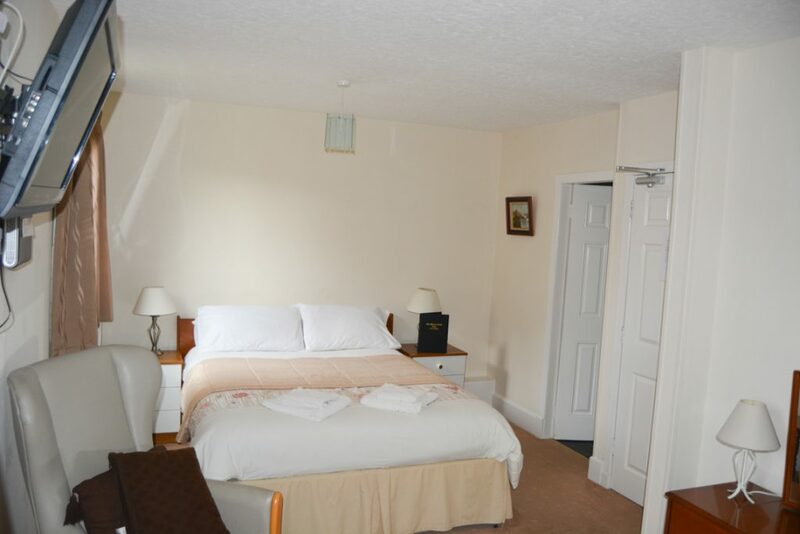 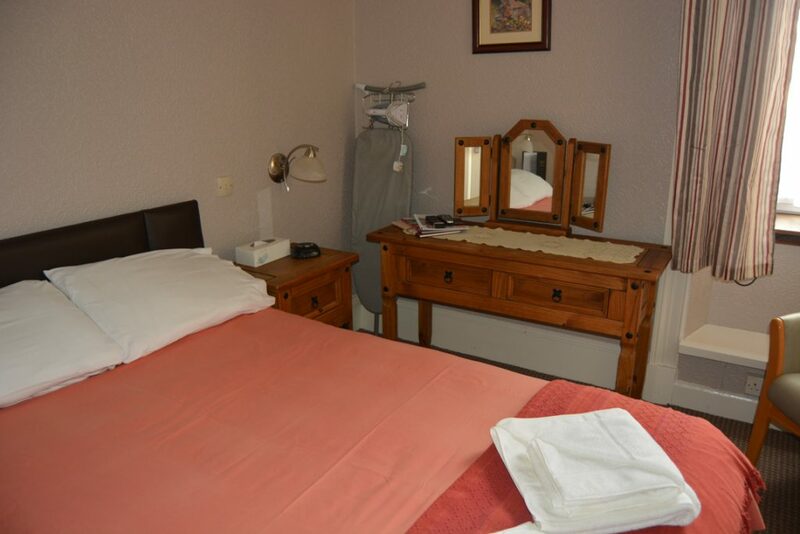 This well appointed room is at the front of the Hotel over looking the road, with a double bed. 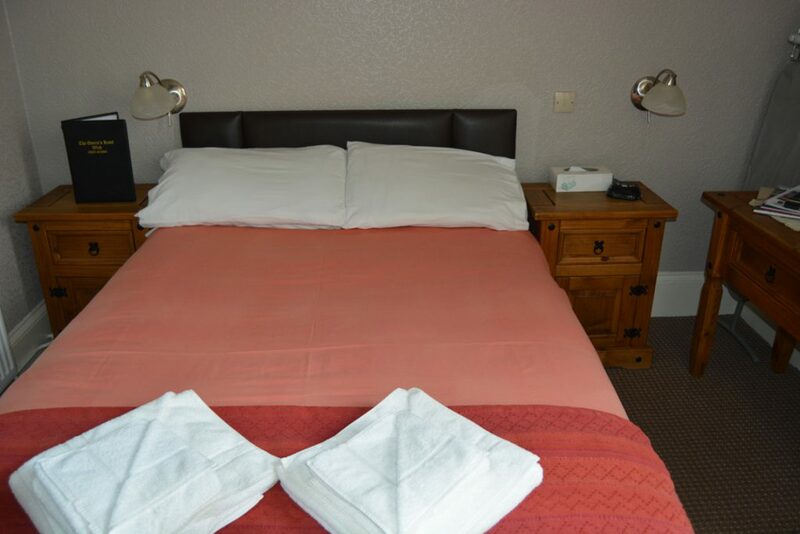 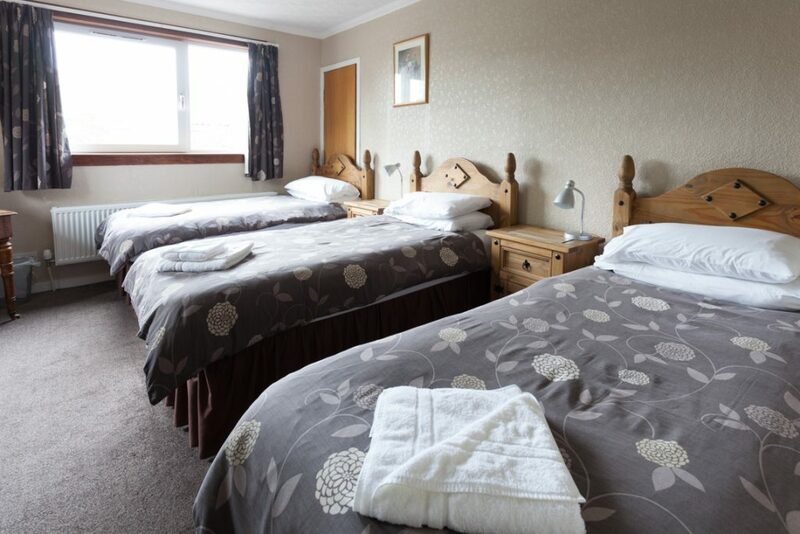 This spacious room at the rear of the Hotel, has a large king size bed and a bed settee for either two small children or one teenager/adult. 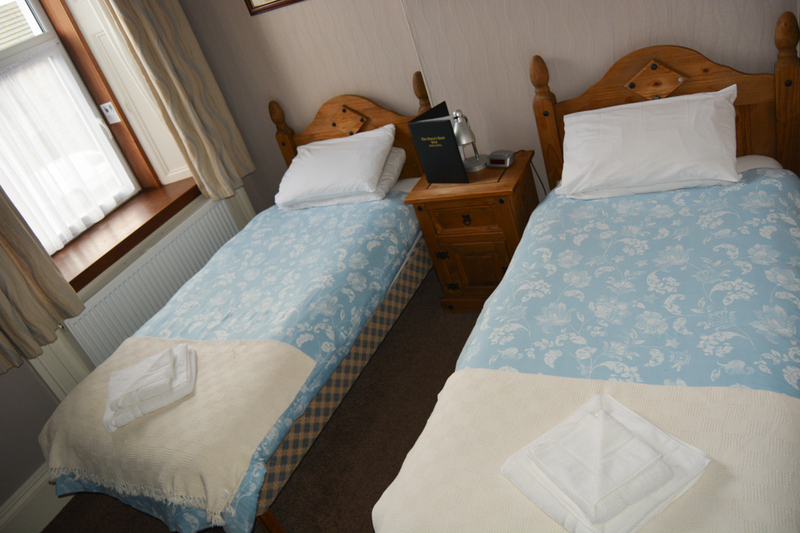 This spacious room at the rear of the Hotel has three single beds, also can be used as a twin. 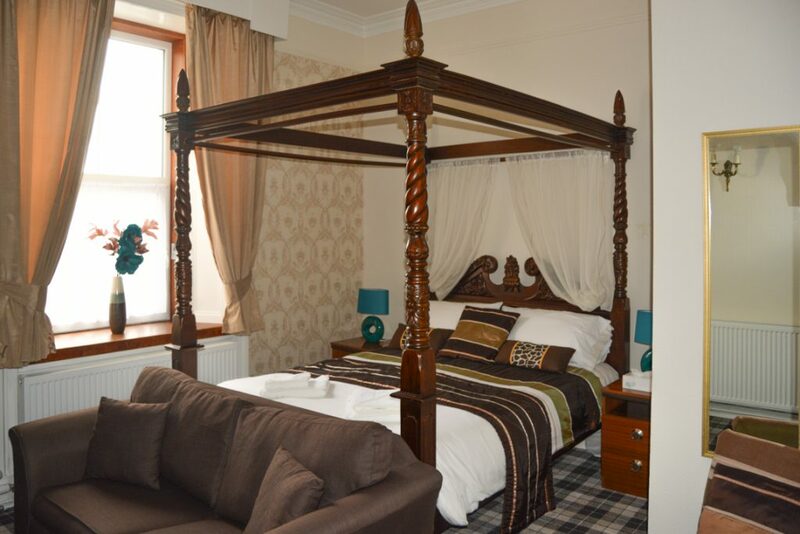 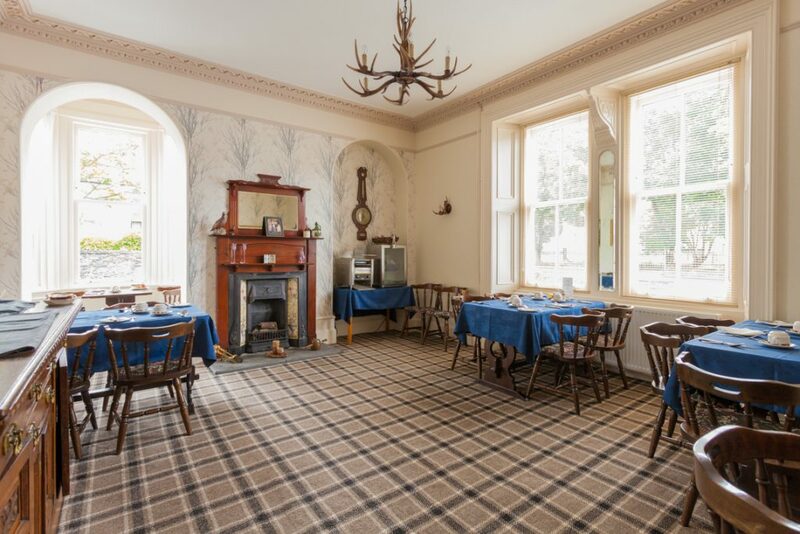 Where you can relax and enjoy either a continental style breakfast or a full cooked to order Scottish breakfast.